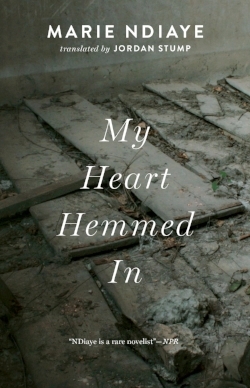 My Heart Hemmed In, Marie Ndiaye (France): 2007; translated by Jordan Stump, Two Lines Press, 2017. In this slightly strange, absurdist novel, the main character, Nadia, finds herself and her new husband ostracised by her community. Nadia dislikes most everybody and everything and spends the narrative trying to understand how this has led her to the dire straights she finds herself in. The psychological exploration is fascinating and the prose moves quickly and effortlessly to its grand conclusion.